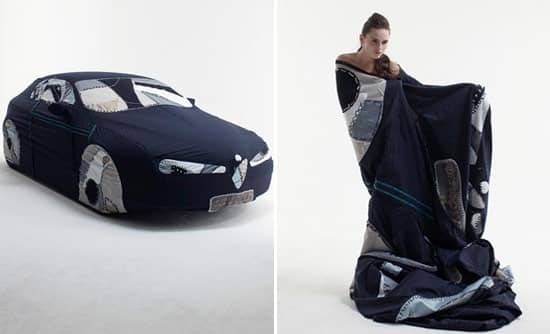 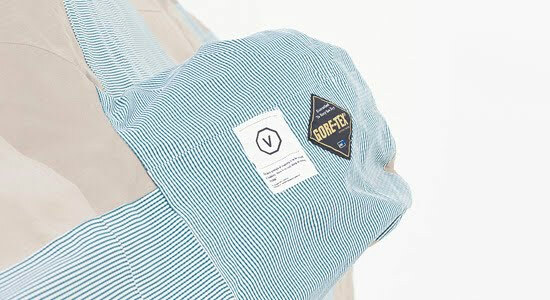 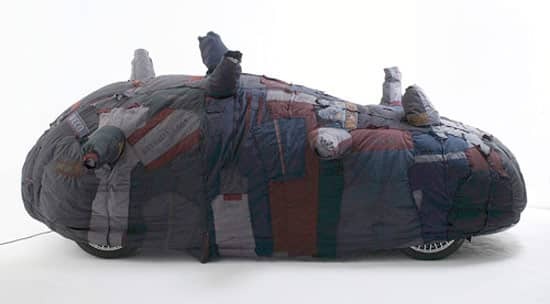 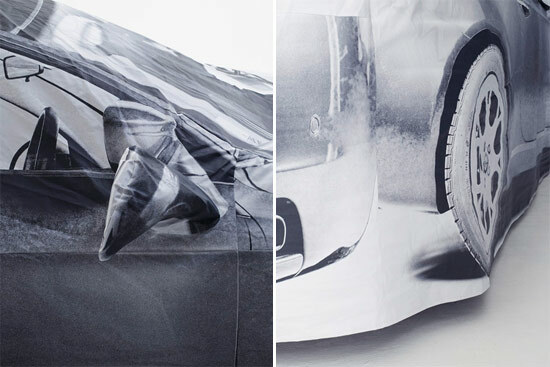 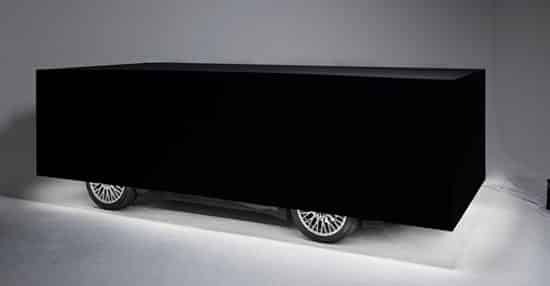 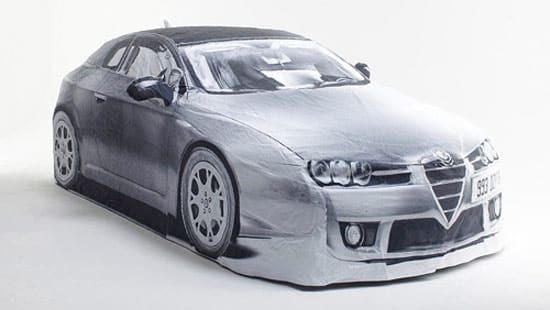 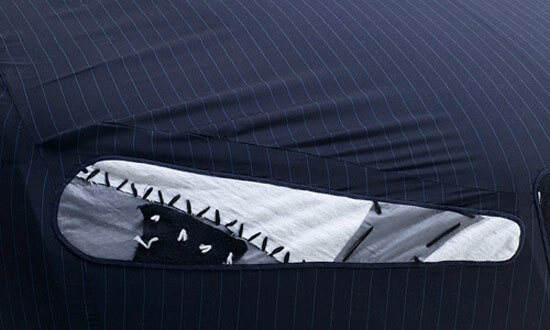 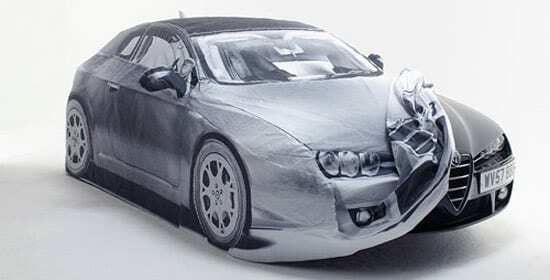 Six global designers have come up with the idea to make fashionable car covers. 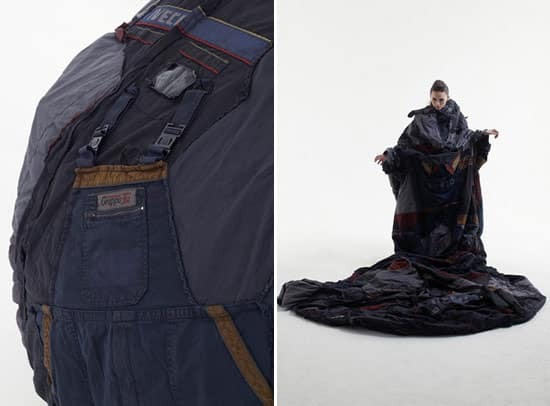 The designers involved are Maison Martin Margiela, Bless, Richard James, Adam Kimmel, Visvim and Ksubi, and the covers are introduced in the Intersection Magazine. 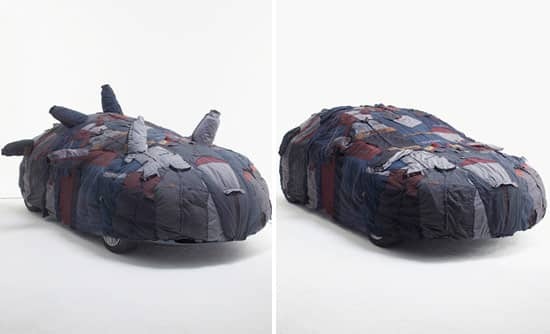 The car covers are mainly made out of materials as cotton and leather, but also waterproof gore-tex. 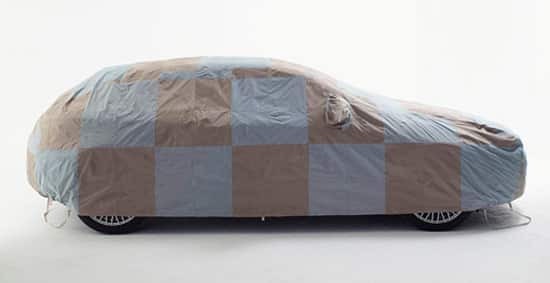 Every designer had an unique idea and design for the cover. 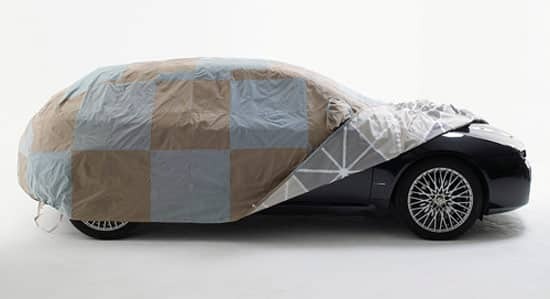 One cover looks like it’s made out of rags, an other one is showing the design of the car, and maybe the weirdest is the one that is shaped like a simple black box. 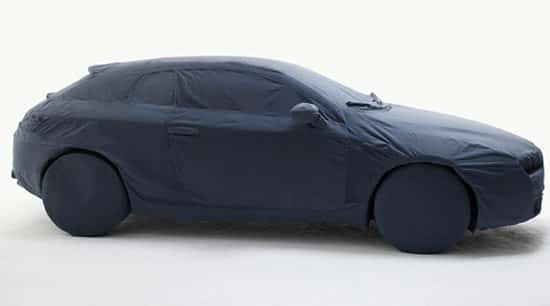 This is clever for those who are tired of the regular covers and want to dress up their car in a more fancy way. 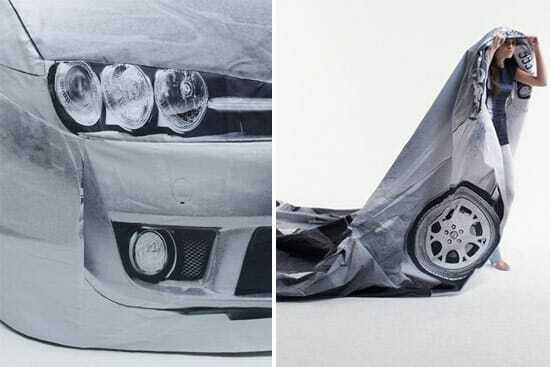 Other ways to cover up in a fashionable way are to use magazine head covers to place it where your head is supposed to be, like these people did.